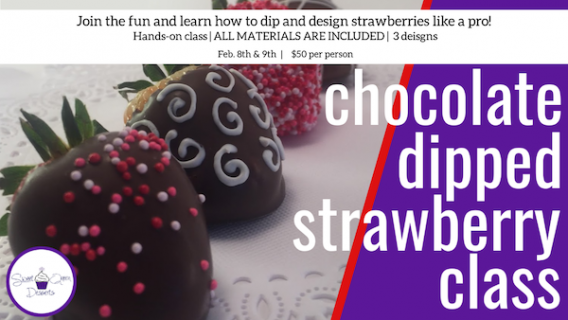 Bring a friend or ‘that special someone‘ and join the fun while you learn how to dip and design strawberries like a pro! Sweet Queen and the Icing King will help you make this a special Valentine’s Day. In this hands-on class, you will learn you how to properly clean, dip, store, and package chocolate dipped berries. Each student will leave with a dozen fresh dipped berries and the skills to recreate them over and over again.